I love this app. I'm very bad at drinking water, so I need something that makes the task enjoyable. This app does just that. It's colorful and simple to use. 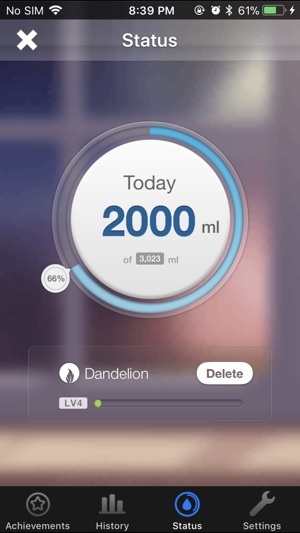 You just push a button to water your plant and tell the app you drank your allotted amount and your plant grows and becomes more healthy as you do. Hint: you gain more and more free seeds the longer you play. When I started, I was getting 8 free seeds a day. Now I get 40, so you don't need to purchase seeds if you're willing to just watch a few commercials and be patient. I agree with other reviewers that it's frustrating that you can't change data from the previous day. I've had my streak dropped a number of times as a result and my plant doesn't reflect how much I TRULY drank once it goes to the garden. I would love for that to be fixed. I would also love if *I* could be the one who decides the start and stop of my day, instead of the day automatically ending at midnight. I'm sure not everyone's day is the same and we should have the control to reflect that. Other than that, love. 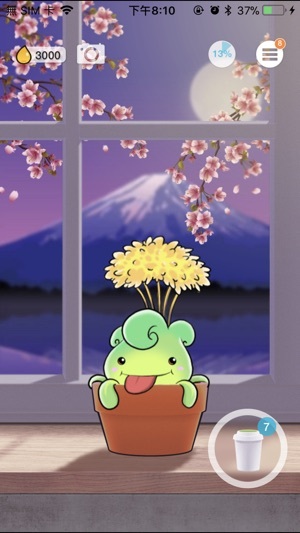 So glad I found Plant Nanny. Three months, going strong. Honestly I love this app! There are a few thing I would change though. For example, I don’t like how you are only offered 3 plants before you have to spend money on seeds or wait a few weeks until you collect enough to buy a new plant. 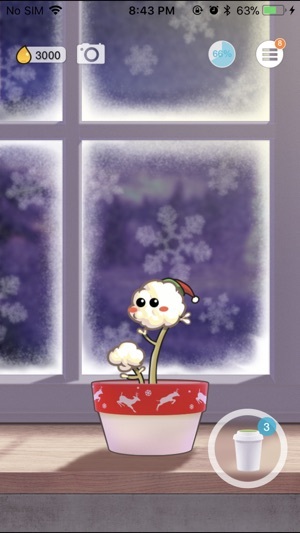 I have all the plant that this game offers planted already and I’m ready to get a new plant but the game doesn’t give you enough seeds to buy one. 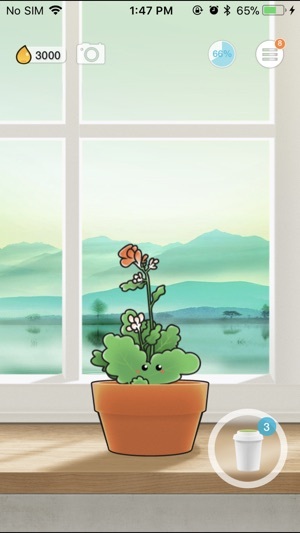 After I grew the last free plant I was willing to spend some seeds to get a new plant but I looked and most of the plants are over 200 seeds unless you want to get one that you already have and I think the game motivates me to drink more water so I can level up my plants and see the way they will look fully grown. The fun is taken away after you get all the free ones because if you don’t want to spend real money or wait until you collect over 200 seeds you are stuck with the same boring plants. Not to mention in the time it took me to grow all 3 plants and wait about a month afterwards to try to collect seeds, in total at the moment I only have 11 seeds! 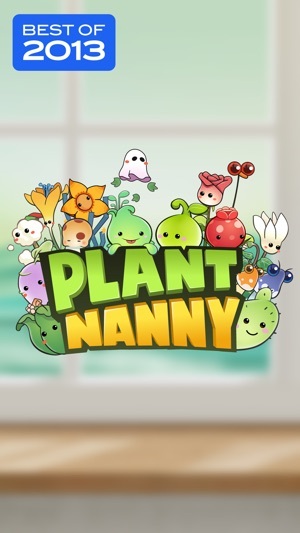 I suggest you either offer more free plants, lower the price for another plant, or give more seeds otherwise this game isn’t worth downloading. I was skeptical about the idea of a virtual plant incentivizing me to drink more water, but it has worked pretty well for me. I like how easy it is to log a drink of water, as well as how it has so many different options for plants. One feature I do wish this app would implement is having reminders that actually reflect how much I’ve water I’ve had that day. On days where I’m already pretty hydrated, I don’t really need any reminders on my at all phone. However, if it’s afternoon or evening and I haven’t logged any water that day, it would be nice to get a reminder just for that instead of a generic message every 2/4/6 hours that I usually ignore. I also wish this app would stop telling me that it’s unhealthy to drink more than one glass of water in a row. While I understand that this is true, this reminder really isn’t relevant for me. When I log multiple glasses in rapid succession it’s usually because I drank the water earlier and forgot to log it, not that I’m trying to drink my body weight in liquid all at once. Overall, though, this is a very useful app. It’s helped me a lot. © 2014 FOURDESIRE CO., LTD.